Are you a Game of Thrones fan? We are! Our millennial team of marketers jumped on the “winter is coming” bandwagon seasons ago! While Dallas endures the 100+ degree heat, our favorite fabled characters are conquering the winter, and we are feeling the chill! Our team has ventured into countless Game of Thrones discussions over coffee or before meetings: who are Jon Snow’s real parents? Will Khaleesi and the dragons be the last ones standing? What happens after winter finally comes – what do we do then? But then we realized we were raptured not only because of the powerful premise of the series and the flawless execution of each episode (storytelling, artistry, acting, etc.) – we were also drawn in because of the success of their marketing campaigns! Let’s look at a few of the Game of Throne’s marketing gems that you can apply to your business, brand or product. Winter is coming…so, let us help you get ready! When developing your marketing plan, one of the most important steps is to do research and understand who you are marketing to. Know your audiences likes, dislikes, perceptions, needs, wants, issues – and ultimately, how you can be part of their world. There are many survey sources out there, like Survey Monkey, KwikSurveys, Google Forms, Survey Planet, etc. or there are some innovative or even gritty options like using forums, blogs or social media. Either way, collecting audience data doesn’t have to be daunting, and you’ll be glad that you did it! A survey from the Time Capsule of Ice and Fire blog (popular for the avid Game of Throners) pulled demographic data from more than 4300 people. It collected information about respondents’ age, gender, whether they read the Game of Throne books first or watched the show first, whether they’re bothered by the show overtaking the books, and more. So according to the survey, the ordinary Song of Ice and Fire/Game of Thrones fan is a male aged 18-29. **Keep in mind that the results of this survey don’t represent the entire fandom, just those who took the survey, possibly via a link on Reddit. Also, this doesn’t appear to be a study commissioned by HBO. No matter where your business is headed this winter, it’s important to have a diverse and talented team who can execute your marketing needs on the frontline and in the Small Council! Take a look at this Game of Thrones infographic from TargetMarketingMag.com for the most important marketing roles to fill and how the Game of Thrones characters stack up to the world of marketing! 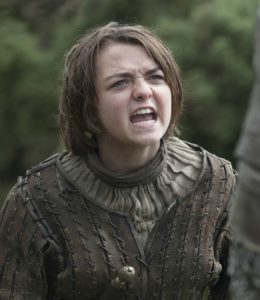 Let’s start with Arya Stark – one of our favorite characters and our young hero who we have watched grow into the fearless, smart and even more fierce young warrior that we now see in the latest episodes. The infographic describes her as the content manager, while Arya does possess the virtues of a content manager, she didn’t always start off as the managerial type. However, she is proving more and more in season 7 that she is her father’s daughter. One important member of the marketing team that we didn’t see on the infographic was the position of the intern. The intern is the helper, the resourceful person, the gritty “I’m going to get this done” team member. And Missandei has shown herself as a budding aid ready to carry out her Queen’s mission time and time again. And now the dragons, although it is debatable if they are actually characters, we think Khaleesi’s dragons are great additions to the marketing mix! On the Wikia Fandom page for GoT, the dragons are described as reptiles capable of having “awesome, yet devastating abilities” similar to that of social media! Let’s explore this a bit further. Let’s face it, social media is a “fire-breathing machine” no matter the user, industry, content – social media is a force to be reckoned with! It can sometimes be your most-utilized speaking platform (take the POTUS for example), or the wrong message can spread like wildfire (United Airlines can attest to this). 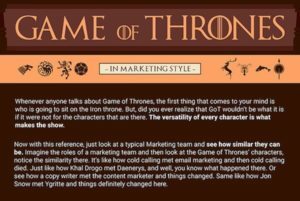 This infographic nicely correlates the world of marketing to the mythical, yet relatable (sometimes) world of the Seven Kingdoms. 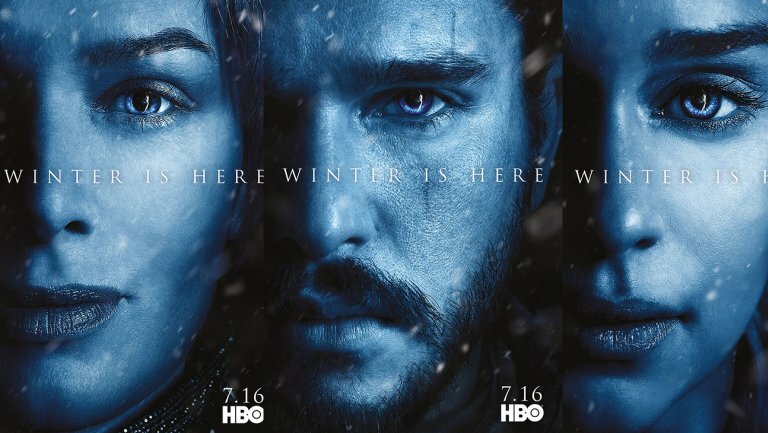 This Medium article takes a look at how Game of Thrones successfully implemented social media into their various promotional campaigns. HBO started the show with a social media announcement, then launched Game of Thrones social media accounts on Twitter, Facebook and Youtube. The show and characters now have millions of social media followers that await their next move. Taking the marketing a step further, HBO gained partnerships with other brands like, Spotify, which integrated Game of Thrones into their service. Users were able to see which Game of Thrones characters they were based on their music tastes and playlists. Brilliant! Especially when you consider who’s watching Game of Thrones – this demographic is also heavily using music streaming sources, like Spotify. Connecting the dots and going where your audience is can produce beneficial low-hanging fruit. As we near the beginning of August, this is the ideal time to kickstart your marketing and PR planning efforts. Winter is coming…not just in Game of Throne’s but for your brand, product, and business! Be sure you know your audience and can anticipate their needs. Have a stellar team of marketers, consultants, interns and managers who can carry out your marketing needs. And of course, fly high with the dragons – let them work for you, not against you and you will be the Queen (or King) of Dragons for your business! Hope you enjoy the new #GameofThrones7 episode tonight! Contact EJP Marketing Co. today to speak with someone on the team!